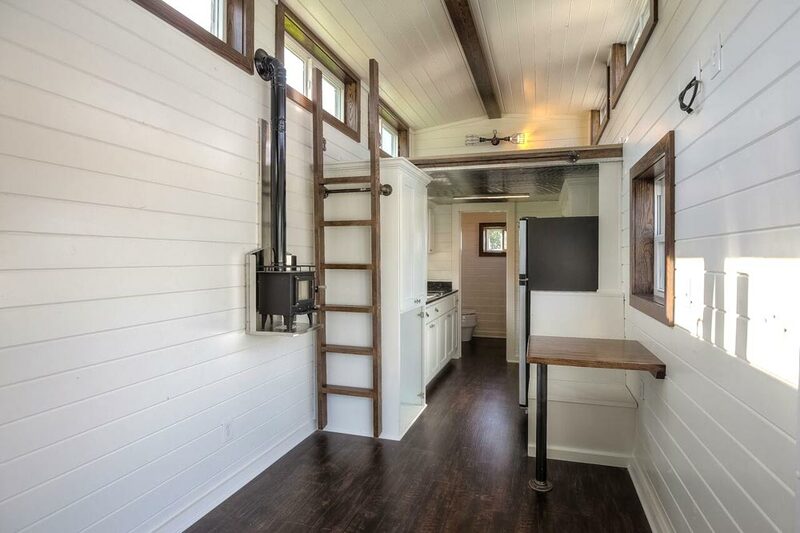 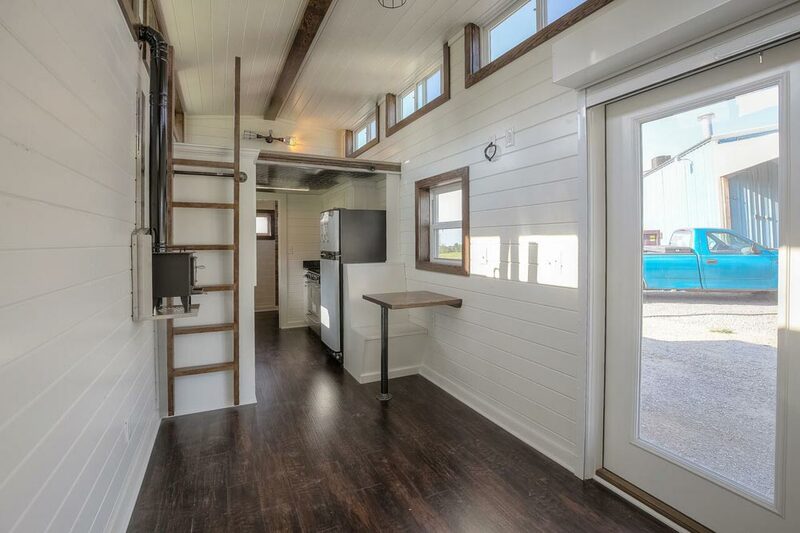 This 40′ Lake Cabin tiny house is actually a shipping container! 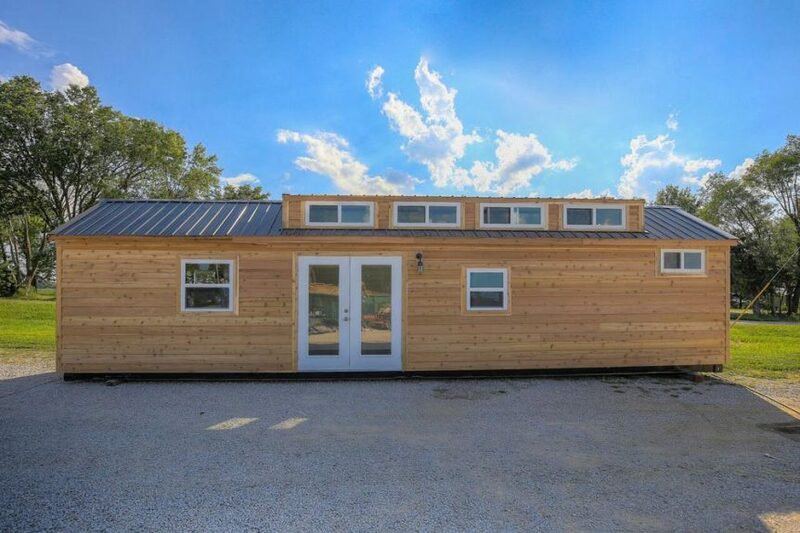 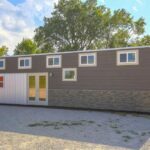 The builder, Custom Container Living, gave it a raised gable roof, making it look like a regular house instead of a container home. 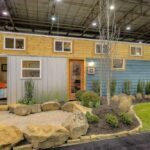 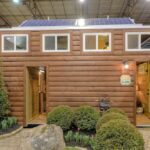 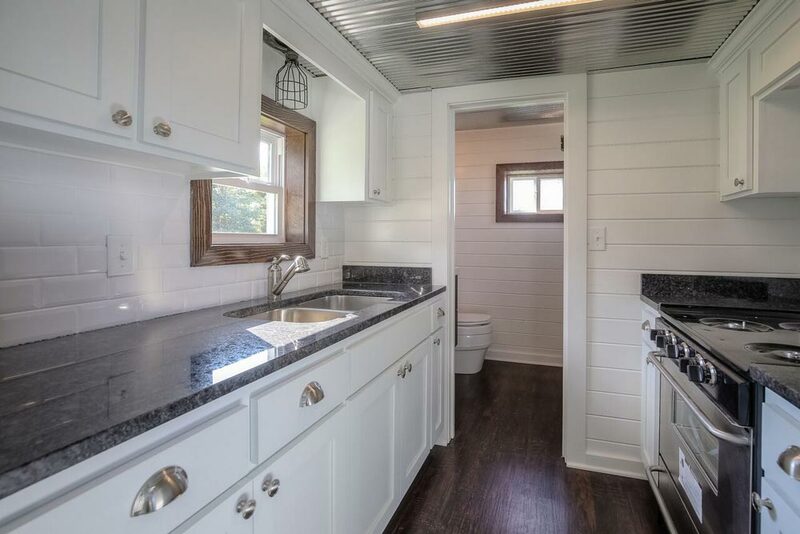 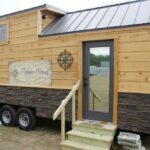 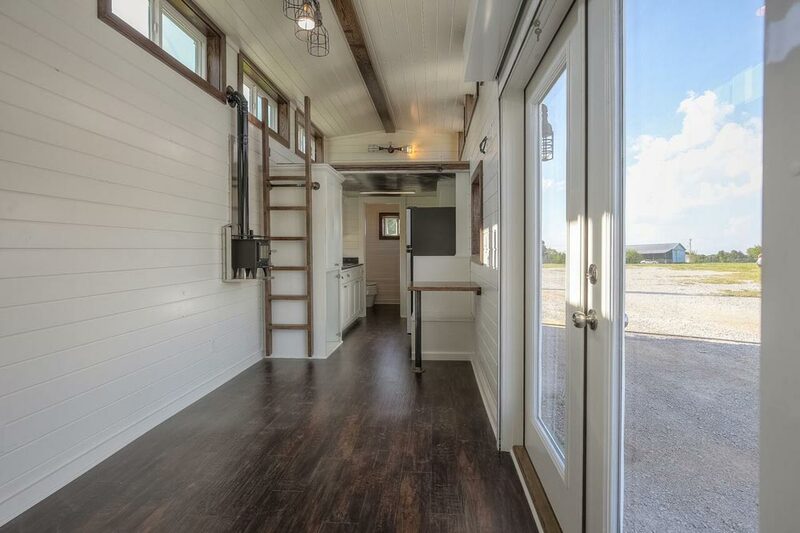 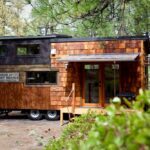 The 380-square-foot container home has a rustic exterior with cedar lap siding, metal roof, and full light french doors. 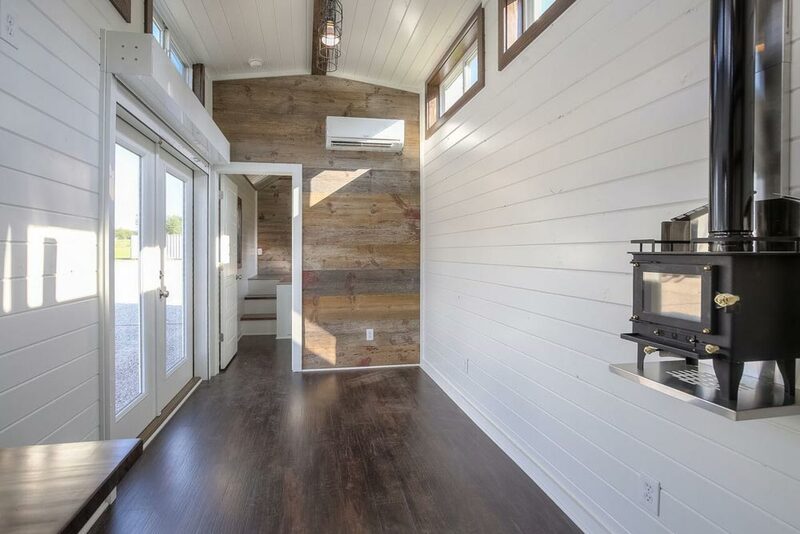 The modern interior has painted tongue-and-groove walls, stained pine trim, and vinyl plank flooring. 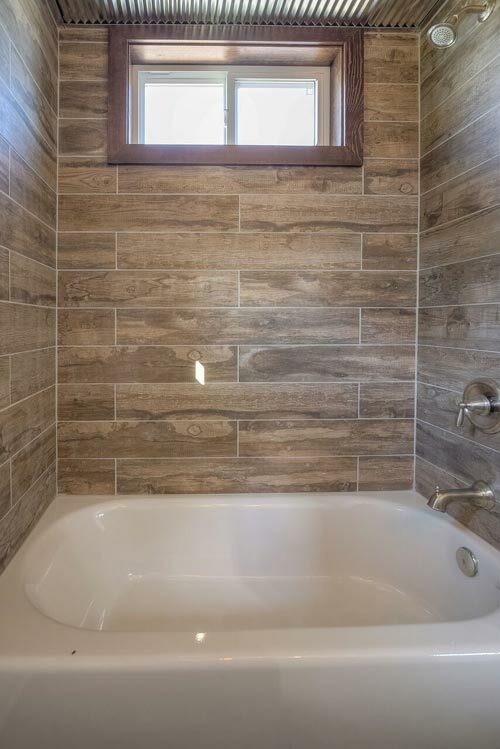 Barn wood accent walls in the living room and bedroom add a rustic element to tie in with the exterior. 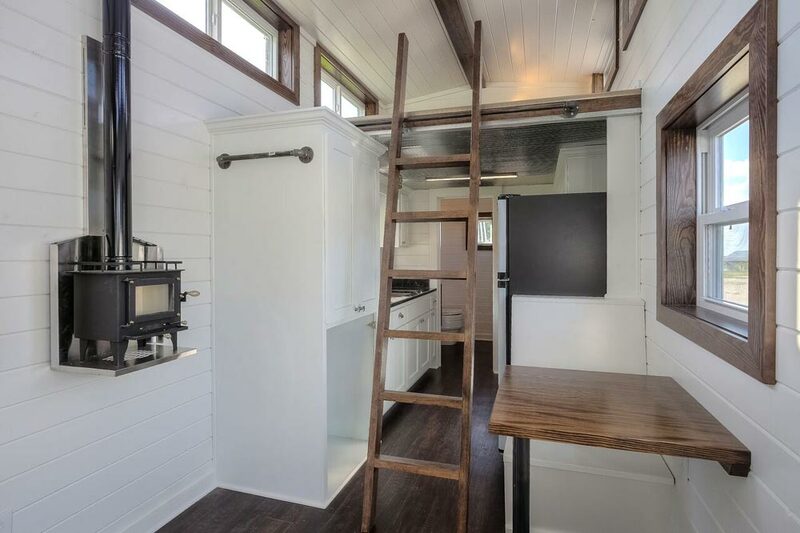 The main floor bedroom has a raised platform for the bed, allowing for storage underneath. 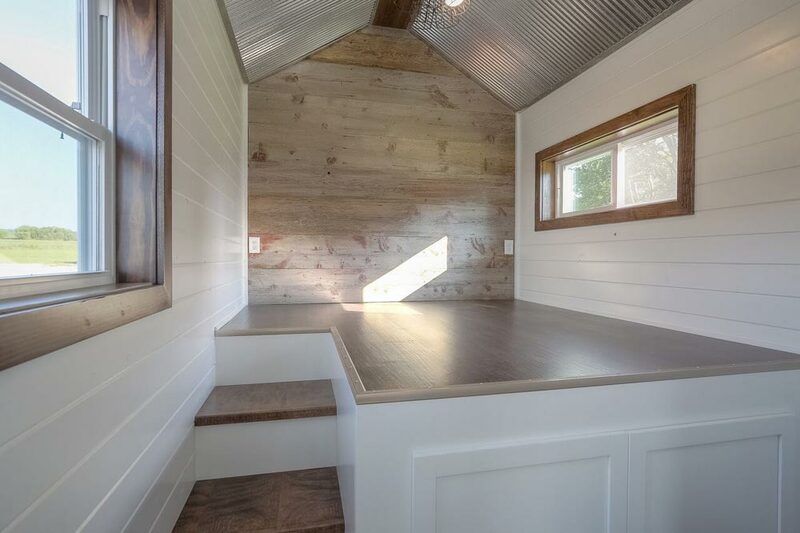 There is also a queen size bedroom loft, which makes for a good guest or kids’ bedroom. 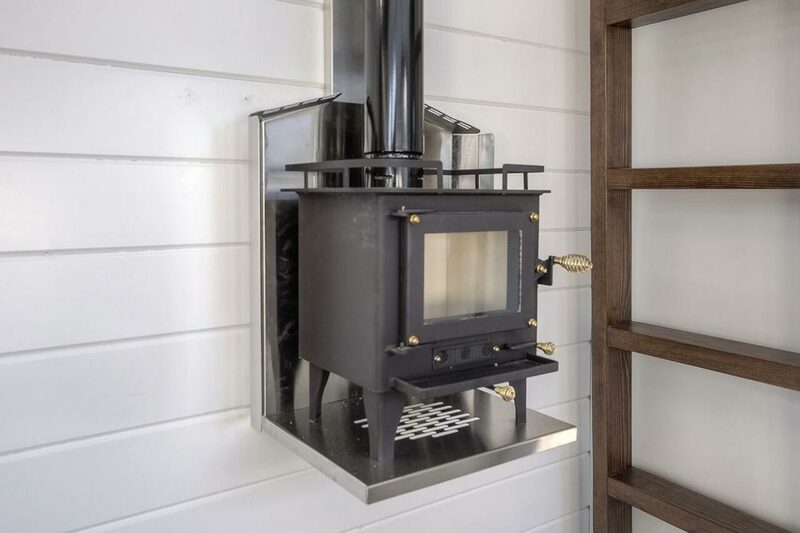 The living room has a wood stove for heating, plus there is a Mitsubishi mini split unit to provide comfortable temperatures year around. 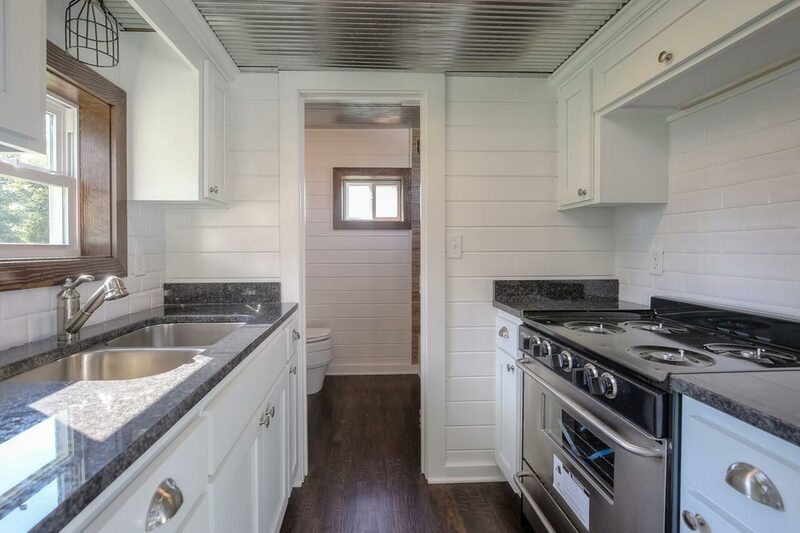 The kitchen is equipped with custom built white birch cabinets, granite countertops, full size gas refrigerator and stove, and a double sink. 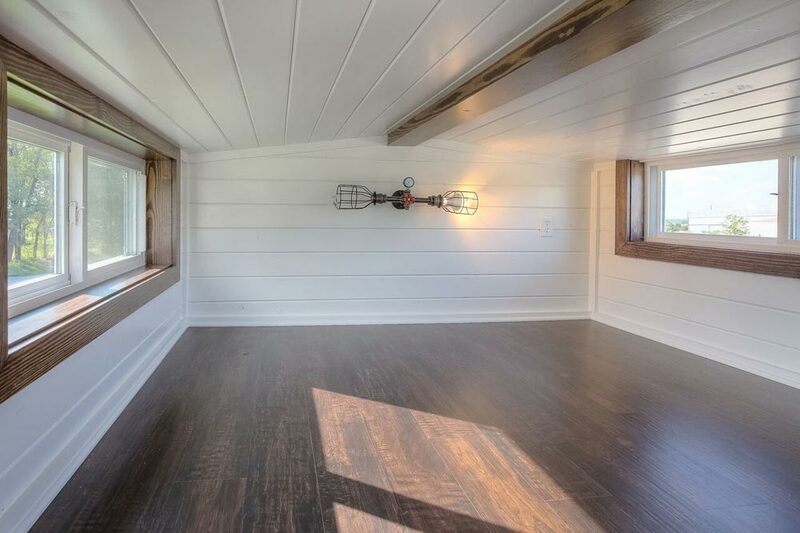 The Lake Cabin was listed for $68,900. 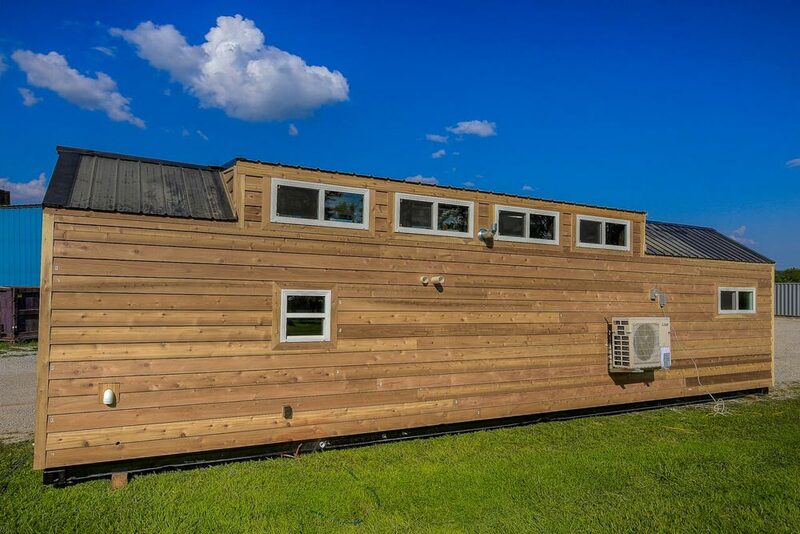 You can contact Custom Container Living for more details. 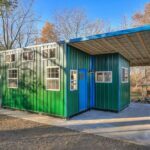 Also available from Custom Container Living: Weekender, Happy Twogether, Modern Empty Nester.